Location: Northwestern Santa Monica Mountains on Encinal Canyon Road. 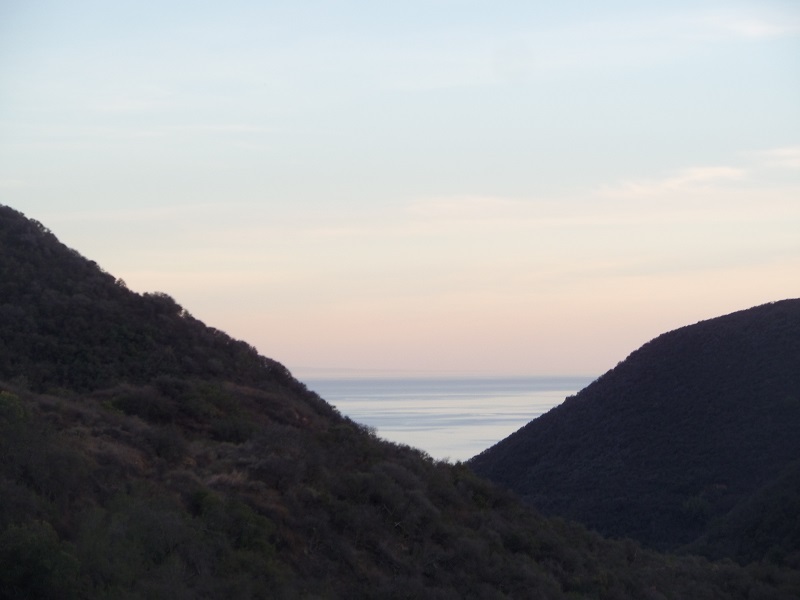 From Pacific Coast Highway in Malibu, 24.4 miles from the end of I-10, take Encinal Canyon Road for 5 miles. Turn right to stay on Encinal Canyon and go a mile, just past the fire station, to a small dirt turnout at the side of the road. From Highway 101, take the Kanan Road exit and head south on Kanan Road for 6.2 miles. Turn right on Mulholland Highway, go 0.9 miles and bear left on Encinal Canyon Road. The parking area will be on the left in 2.3 miles, just before the fire station. For years, the idea of a completed Backbone Trail across the Santa Monica Mountains, running uninterrupted from Pacific Palisades to Point Mugu, was a pipe dream. 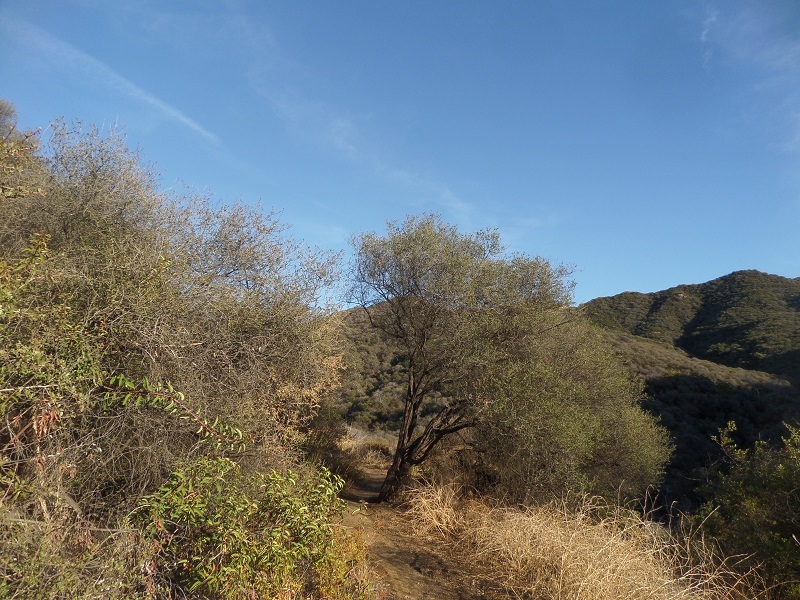 Gradually, the National Park Service and the other agencies that govern open land in the Santa Monicas acquired the parcels of land necessary to create the unbroken trail and finally, in 2016, the completed Backbone Trail became a reality. One of the last segments to be created was the half mile stretch between Trancas Canyon Edison Road and Zuma Ridge Motorway. 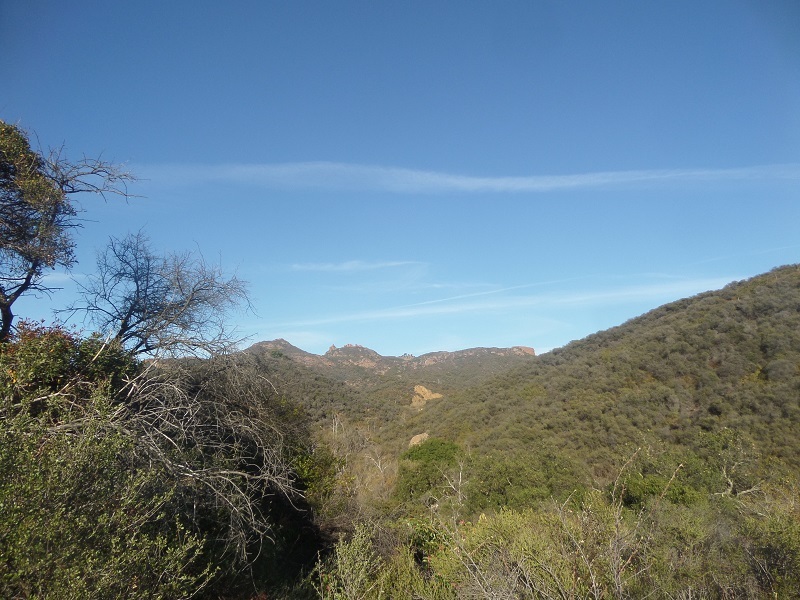 Zuma Ridge makes a good destination for a moderate day hike originating from Encinal Canyon Road. Hikers who have set up a shuttle can continue another 2.5 miles east to Kanan Dume Road. 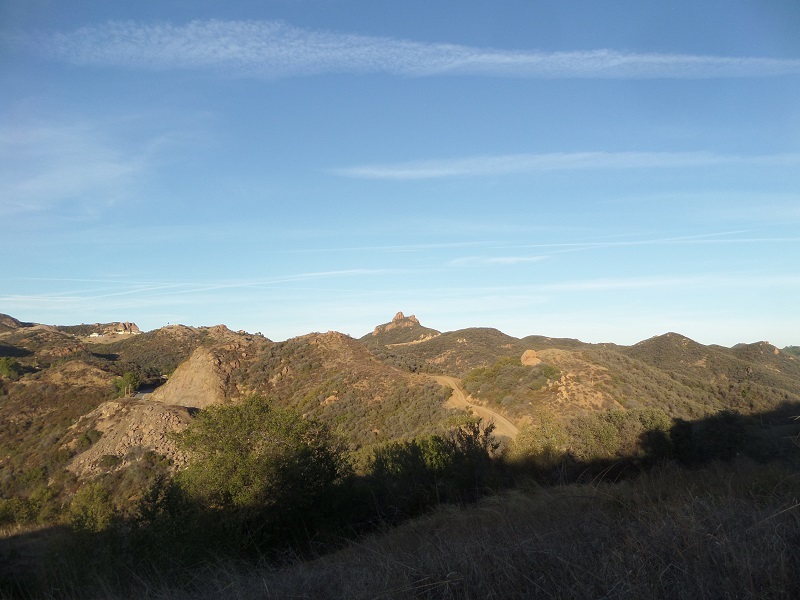 Despite occasional traffic noise from the nearby roads and power lines, this area of the Santa Monica Mountains is nearly free of reminders of civilization and receives fairly light use. From the small dirt turnout, head downhill past a metal gate, passing a couple of side trails. You head south, dropping into scenic Trancas Canyon, passing by a large boulder perched high on the hill in a manner similar to famous Balanced Rock on the Sandstone Peak trail. Stay straight as a smaller trail branches off to the right. After crossing a footbridge, you reach the bottom of the canyon, entering a pleasant grove of live oaks. You begin a gradual ascent, cross a second footbridge that spans a seasonal stream, and start climbing more rigorously on the exposed side of the canyon. For your efforts, you get nice views of the area, including a glimpse at the ocean, and the Boney Mountain peaks above the closer hills. The trail makes its way along a twisted course before reaching the top of a ridge. At 1.6 miles, you reach Trancas Canyon Edison Road. Bear right and follow the dirt road a short distance to a hairpin right turn, at which point you will continue east on the Backbone Trail. The trail heads uphill, passing a small monument to the route’s completion before making a steep push to a ridge line with panoramic views to the east, including Mitten Mountain and the distant Castro Crest. From here, the trail drops sharply to meet Zuma Ridge Motorway, 2.2 miles from the starting point.